The U.S. Drug Enforcement Administration (DEA) has determined that the cannabidiol-based active ingredient of EHP-101, an investigational oral treatment for multiple sclerosis (MS) under development by Emerald Health Pharmaceuticals (EHP), should not be classified as a controlled substance. SAN DIEGO, CA, April 17, 2019 – Emerald Health Pharmaceuticals Inc. (EHP), a clinical-stage company developing medicines based on cannabinoid science, has received the determination from the United States Drug Enforcement Administration (DEA) that VCE-004.8, a non-reactive, non-psychotropic, new chemical entity (NCE) derived from synthetic cannabidiol (CBD) and the active pharmaceutical ingredient (API) in the Company’s lead product candidate, EHP-101, is not a controlled substance under the Controlled Substance Act (CSA). EHP-101 is currently in a Phase I clinical study and is being developed for the treatment of multiple sclerosis (MS) and systemic scleroderma, or systemic sclerosis (SSc). Pacific Biodiesel co-founder and President Bob King speaks to an Earth Day crowd at the company’s sunflower fields last year. Pacific Biodiesel announced today that it has been awarded the first state license for an industrial hemp farm on Maui. The 10-acre facility will be located in Central Maui. The 10-acre farming site will also be the first industrial hemp farm in the United States powered by 100 percent biodiesel, according to the news release. Biodiesel refers to a vegetable oil- or animal fat-based diesel fuel consisting of long-chain alkyl esters. Biodiesel is typically made by chemically reacting lipids with an alcohol producing fatty acid esters. More than 1,000 green gold-rushers were licensed to grow hemp this year, many vying for the inevitable payday that CBD holds, said Adam Martin, Terra Farma vice president of agriculture. As of the end of January, there were 502 licensed hemp growers statewide and 6,000 acres devoted to its production. 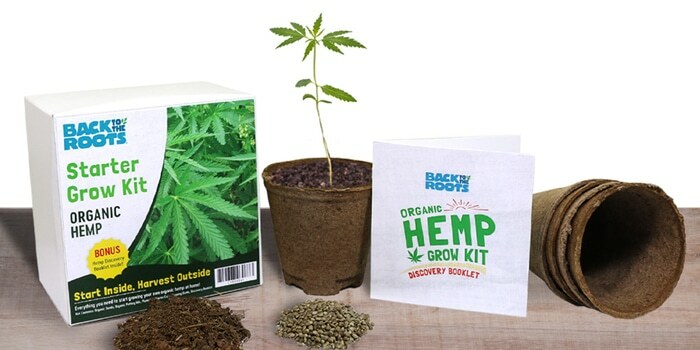 30 plants must be tested for every 100 acres of hemp grown. If the plants are above the 0.3% level, the crop will be destroyed. Commissioner Rick Pate said last week the state had licensed 152 growers, 59 processors and 5 universities to grow, cultivate, process, and research industrial hemp this year. Is the Bottom in for Hemp Inc (OTCMKTS:HEMP)? Bioavailability describes the percentage and rate at which a substance is absorbed into the bloodstream. Oil-water emulsions of nutraceuticals and supplements present a serious challenge for many oral and transdermal therapies, due to most of the beneficial molecules remaining hidden inside of the oil drops. For CBD products commonly consumed orally, including CBD oils in edibles and beverages, absorption is typically below 10%. National Farma believes that processing CBD oil with its proprietary SonoShear technology will deliver greatly improved absorption results (90% or higher) for CBD supplements. Among the options is the cannabis company Beboe's new CBD line, Beboe Therapies. There's a sheet mask ($78 for a pack of five) and a serum ($148), both of which are available on the Beboe Therapies website. I gave the sheet mask a spin. The video stores offer sprays, oil droppers, gummy bears, body and lip balm, water and pet products. The cheapest CBD-infused product is the lip balm; it costs $3. A bottle of CBD-infused water costs $5. But then the prices jump substantially for full-sized products. A 300mg CBD spray bottle costs $60. A 50mg package of gummy bears costs $75. A 1500mg CBD oil dropper goes for $150, which is about a month's supply. Master extractors in California and North Carolina are paid more than master extractors in Colorado and Pennsylvania. Master extractors specializing in hemp are earning up to $120,000 per year in North Carolina, while the salary for a master extractor in Colorado may top out at $70,000. Sister Kate Meeusen, 60, started the Sisters of the Valley in California's Merced County in 2011 with just 12 plants.